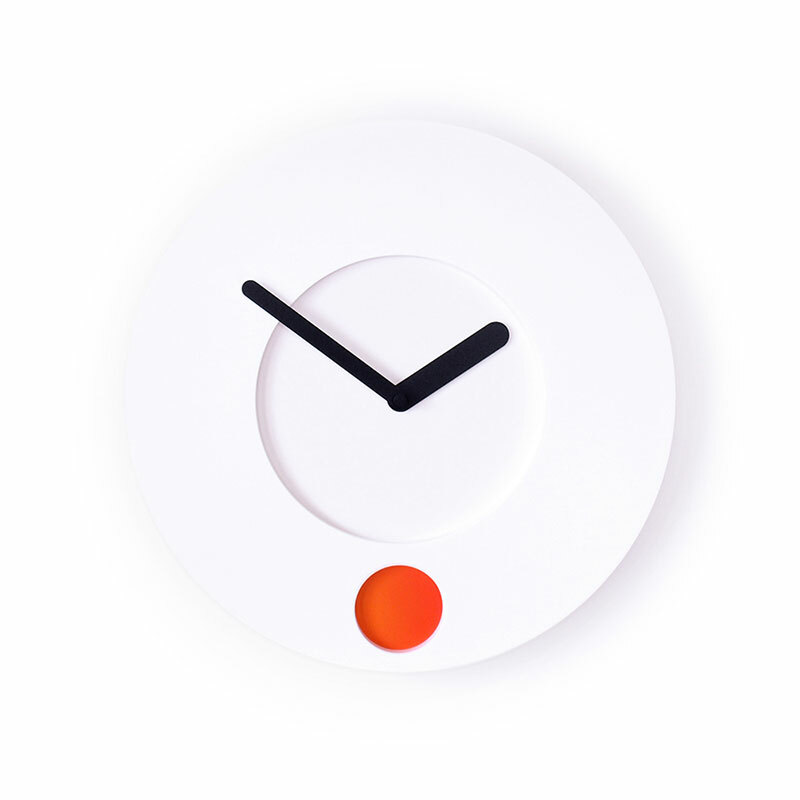 A minimal wall clock with a color window that complements the passing of time by British designer Duncan Shotton based in Tokyo. 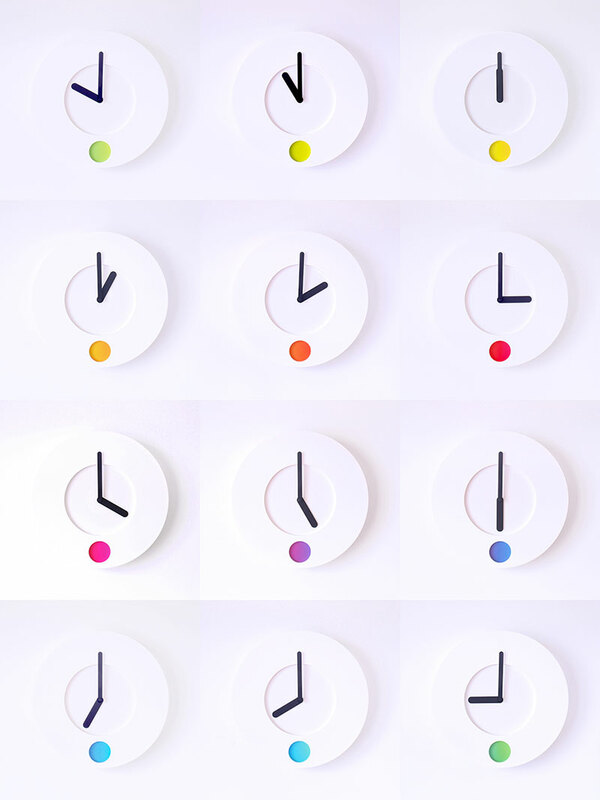 As the seconds, minutes and hours roll steadily by, the color window glides subtly through the full spectrum of colors creating a timepiece that adds a more relaxed method of reading the time, not by number, but by color. The clock retails or about $36. See more of Duncan Shotton's work at his website. 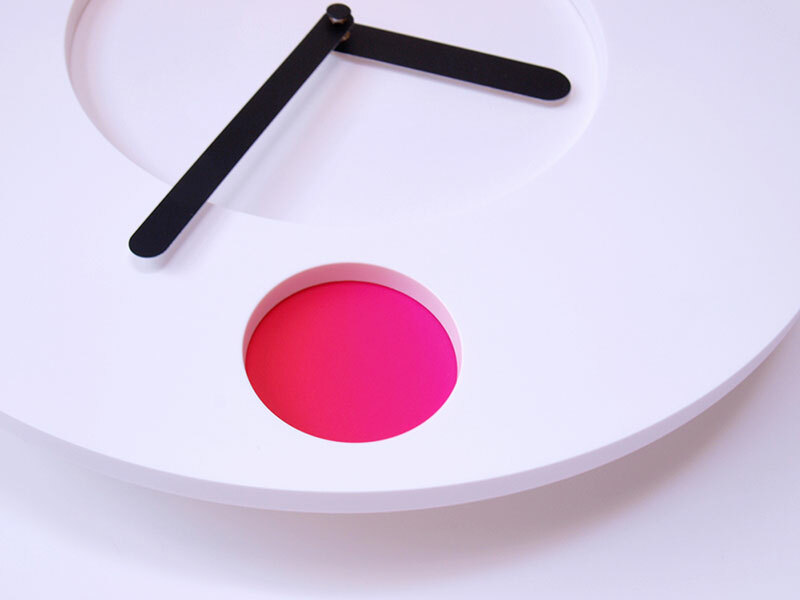 A minimal wall clock with a color window that complements the passing of time by British designer Duncan Shotton based in Tokyo.